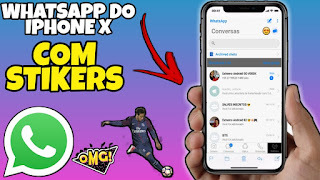 ENTÃO FAMÍLIA, NESSE VIDEO EU VOU TRAZER PRA VOCÊS UM WHATSAPP DIFERENCIADO QUE TODOS VOCÊS VÃO AMAR, ELE VAI SER TOTALMENTE PARECIDO COM O WHATSAPP DO IPHONE X E MAIS LEGAL AINDA, VAI VIM COM VÁRIOS STIKERS SUPER LEGAIS PARA VOCÊ SE DIVERTI JUNTAMENTE COM SEUS AMIGOS, ESSE WHATSAPP VAI ESTA FUNCIONANDO NA MAIORIA DOS CELULARES ANDROID, ENTAO NÃO PERCA ESSA OPORTUNIDADE E BAIXE AGORA MESMO ESSE WHATSAPP DE IPHONE X.
FILALMENTE HOJE EU TRAGO PARA VOCÊS A ATUALZIAÇÃO DO WHATSAPP DO IOS PARA ANDROID COM STIKERS E MUITO MAIS, ENTÃO CONFIRA AÍ ESSSA VRESÃO. MUITAS PESSOAS GOSTAM DE DEIXAR O WHATSAPP DO SEU ANDROID IGUAL DO IOS POIS MUITAS VEZES NÃO GOSTAM DO VISUAL DO WAHTSAPP DO ANDROID OU SIMPLISMENTE GOSTA DO VISUAL DO IOS E NÃO TEM UM IPHONE. O WHATSAPP DO IPHONE É BASICAMENTE O WHATSAPP DO ANDROID APLICADO UM TEMA QUE POR SÍ FICA BEM PARECIDO COM O WHATSAPP DO IOS, ENTÃO PARA QUE O SEU FIQUE TAMBÉM IGUAL BASTA VCOCÊ SEGUIR TODOS OS PASSOS QUE MOSTREI NO VÍDEO E SEU WHATSAPP IRÁ FICAR IGUAL AO DO IOS. 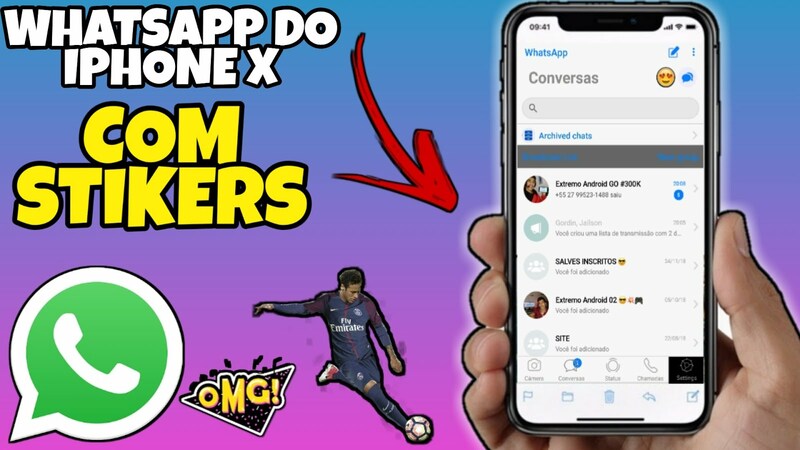 COMO DEIXAR O WHATSAPP NO ANDROID IGUAL DO IPHONE X? PRIMEIRAMENTE VOCÊ VAI TER QUE BAIXAR ESTE WHATSAPP AQUI. QUE EU VOU DEIXAR PARA VOCÊS BAIXAR OK, DEPOIS BASTA SOMENTE VOCÊ INSTALAR NO SEU CELULAR.